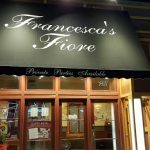 This strip of North Avenue Chicago, between Oak Park Avenue and Thatcher Avenue, is a vibrant strip of fantastic dining. 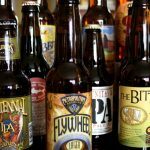 Lined with some of area’s best restaurants– the dining scene in this part of Chicago and the Western Suburbs is diverse as well as delicious. Restaurants of various ethnic, specialty and price backgrounds are well represented on this stretch of road. Several establishments have been around for more than 40 years and are still going strong. 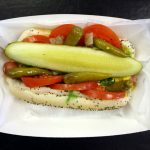 If you are new to Chicago and are looking for a diverse selection of dining choices then you not be disappointed here. This restaurant has been around for 54 years. Four generations of the Moy family have run this family friendly place. The ingredients are consistently fresh. Proof of this is seen when passing by employees snapping snap peas for their various entrees. 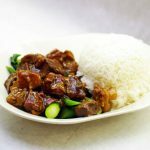 This Chinese restaurant is popular with the locals because of its family style menus and by the quality of the food. The menus are extensive with something for everyone. The atmosphere is lively, cozy and fun. Great burger place, where burgers can be customized to ones’ liking– including both brioche and pretzel buns. Fresh Cut Idaho fries and sweet potato fries, as well as shakes that are made with fresh ingredients compliment the burgers. Each month a signature burger is featured. Great place for those with food allergies, as both gluten and egg free products are offered. 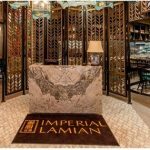 This upscale Thai restaurant offers many items on the menu that are unique and not found at other Thai restaurants. The focus is on northern Thai regional dishes. The extensive menu includes unique dishes such as Noodles Amarind and vegetable crepes. This place accommodates those who follow a vegan diet in that both soy and oyster sauces are not used in the dishes upon request. BYOB. Probably the best known sandwich place in the Chicagoland area. 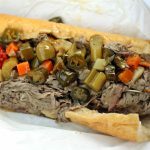 Italian Beef lovers all swear by this restaurant as the best in Chicago. The beef is finely cut and loaded in an Italian roll, with the choice of having it dipped and topped with giardiniera or sweet peppers. It is a fast food stand where fans line up, order their Italian Beef, Italian Sausage and Italian Ice (the only three items on their menu) and leave out the other door. 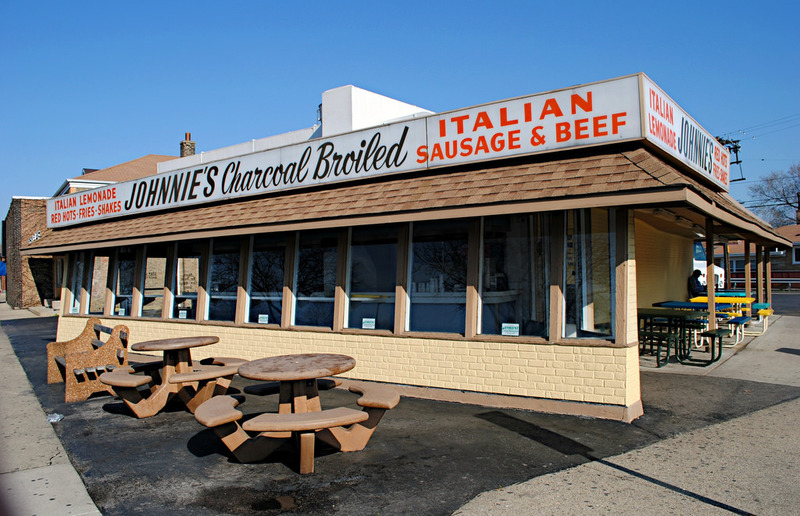 Johnnies is a long time Chicago tradition. Southern Style Comfort food make this place feel like home. Their signature popular dish is the fried chicken. Other mouthwatering offerings include shrimp Creole Dinner, meatloaf and smothered pork chops. Their dessert menu is packed with tempting cobblers and cakes. Truly feels like you are dining at someone’s home. This sushi restaurant doesn’t have just your typical sushi. In addition to the traditional sushi, Nigiri-Zushi, Maki-Zushi, Chirashi-Zushi and Temaki-Zushi are also featured on the menu. The atmosphere is one of tranquility and calmness. Great place to get away from the hustle and bustle. Home of the mojito and jupina (pineapple soda). This restaurant offers quite a wide variety of Cuban dishes from meat entrees to ceviche to Cuban sandwiches. One of the most popular dishes on the menu is the Paella which requires 45 minute advance notice. Café Cubano is one of the few restaurants to get your Paella fix in the Chicago area. This delicatessen has also been around for 50 years. A very basic place. Cash only. On one side there is a deli and on the other is a restaurant. Breakfast and lunch are the only meals offered. The food is outstanding kosher style, from corned beef and pastrami to matzo ball soup. Also the place to get bagels and lox. Another hard to find item offered here is the NY style chocolate egg cream. Very popular weekend brunch hangout. South American dining that focuses primarily on Argentine and Uruguayan dishes. Grilled Steak and Empanadas are the main items on the menu. Their sampler platter, the Parrillada Completa, includes Short Ribs, Beef Steak, Chicken, Pork, Sweetbreads and choice of Argentine Style of Sausage, gives a little taste of the grilled meat specialties. The chimichurri here makes everything taste extra special. An institution. This is another restaurant that has been around for a long time– since 1941. 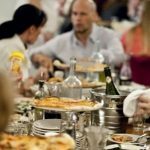 This is a classic style Italian Pizza and Pasta restaurant. Its signature dish is the thin pizza. In addition to the pizza, there are various different pasta dishes as well as veal and chicken. Most would say that their thin pizza is what keeps folks coming back.